7 AM Friday Update: Forced by an upper level trough, heavy convective showers are now moving through western WA (see radar). Should continue through the morning and will dry out by mid-afternoon. Saturday relatively dry with morning low clouds. More on KPLU at 9 AM and then online at www.kplu.org. East of the Cascade crest, heavy thunderstorms have caused a series of flash floods and more thunderstorms are on the way. 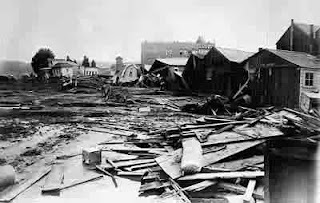 Eastern Washington and Oregon are quite vulnerable to such storms, and one of the great flash floods in U.S. history---resulting in the deaths of hundreds--occurred over northwest Oregon in the town of Heppner (in 1903). Why the vulnerability? Eastern Washington and Oregon get a fair number of thunderstorms each summer and some can bring an inch or two over one hour. Then there is the geography--lots of valley and canyons where water can concentrate and an arid landscape that has not adjusted to heavy rainfall. 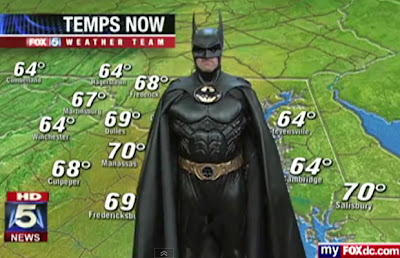 Plus, folks unaccustomed to heavy rain and the proper response. Over the past few days there has been wave after wave of thunderstorms striking eastern WA/OR communities and some of the precipitation has been torrential. For example, a thunderstorm hit the Okanagan area near Omak around 2:30 PM Sunday afternoon, with over two inches over a one hour period at the Malot AgWeatherNet Station. That is an extraordinary intensity. Take a look at the radar at about the same time....the reds are very heavy rain. 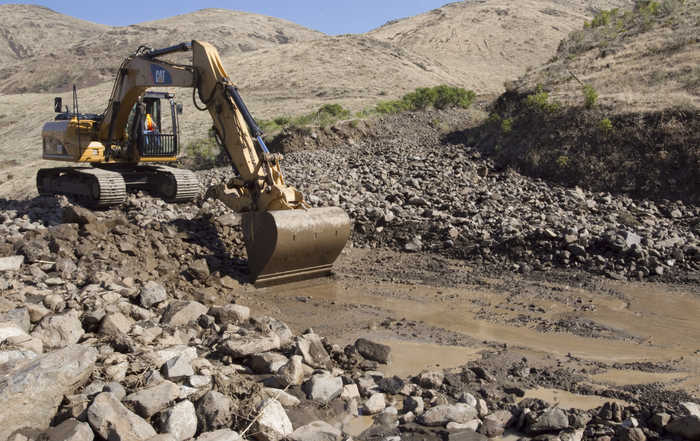 The result was a flash flood and debris flow that closed SR 97. Click on the picture to view some video of it. Another flash flood struck the Yakima River Canyon, the site of several other such events, during the evening of July 17th,. 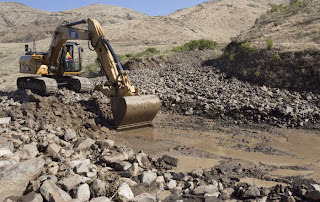 The result was a debris flow the close the Yakima Canyon Road for hours (see image). The greatest flash flood in Northwest history and one of the top events for the entire U.S. occurred in Heppner, Oregon in 1903. 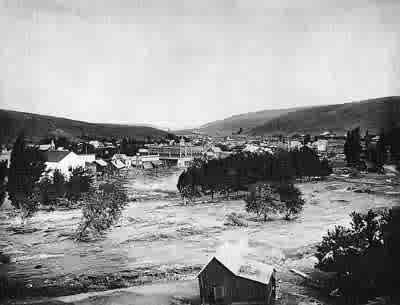 Located in a river drainage on the northwest slopes of the Blue Mountains, this event was caused by a summer thunderstorm upstream from the town. Before it was over more than 230 individuals lost their lives. Joann Byrd wrote a good book on this disaster called Calamity (info here). Some good advice...if you are living in a river canyon and it is thundering and pouring outside, get dressed and head up any nearby slopes. Moving a few hundred feet uphill can make the difference between life and death. And NEVER drive through a flooded road. More thunderstorms developed over Oregon this afternoon and they are moving northward in Washington as I write this (around 9 PM Thursday)--and there should be more tomorrow morning. approaching the south Sound. The National Weather Service has a flash flood watch out for much of eastern Washington and northern Idaho (see image)--so if you live in these areas...be watchful.